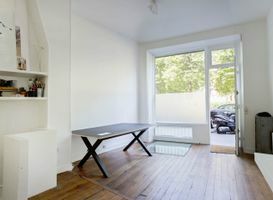 Located close to Ledru-Rollin, this 36 sq m boutique space is ideal for pop-up stores and product launches. The shop has an inviting frontage with a large window display framed in a smart navy blue. 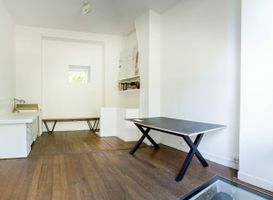 With minimal interiors of white walls, a dark wooden floor and classic layout, this shop has a comfortable atmosphere. There is some basic furniture of chairs, tables and shelving and the store is flexible in terms of set-up with an 11 sq m stock room at basement level. 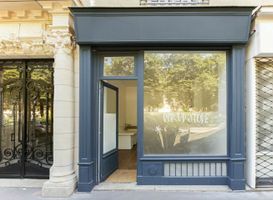 In the district of Gare de Lyon and close to the Square Armand Trousseau, this shop is surrounded by trendy high street retailers and popular art galleries. It is an ideal spot for brands to gain exposure in an area popular with shoppers.